Chemical Constituents- It contains essential oil with eugenol, carvacrol, methyl eugenol and caryophyllone. 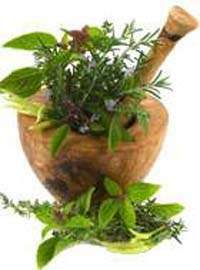 Use - The leaves and seeds of the plant are medicinal. The oil obtained from the leaves has property of destroying bacteria and insects. The juice or infusion of the leaves is useful in bronchitis, catarrh, digestive complaints; it is applied locally on ringworm and other skin diseases; it is dropped in ears to relieve earache. A decoction of leaves is used in Indian homes to cure common colds. Seeds are useful in complaints of urinary system. Decoction of root is given in malarial fever to bring about sweating.